You will find below our advices for optimal storage conditions and solubilization of delivered peptides. Please contact us for further information you might require. We recommend to store the peptides in lyophilized form at -20°C. At this temperature, most of peptides remains stable during several years. In order to reduce peptide exposure to humidity, peptides should be aliquoted. After removing from the fridge or the freezer, let the peptides warm up to room temperature before opening a vial to avoid water condensation. 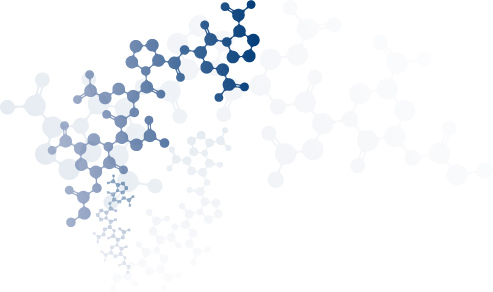 Before solubilizing peptides it is important to evaluate the net charge of your peptide. The simple rules stated below are used to determine if the peptide is basic, acidic or neutral. Assign a value of -1 to each acidic residue (D, E, and C-terminal COOH). Assign a value of +1 to each basic residue (K, R and the N-terminal NH2). Assign a value of +1 to each H residue at pH<6 and zero at pH >6. Very hydrophobic or neutral peptides: add acetonitrile (up to 10-20%), isopropanol, DMSO or DMF. In all cases, sonication is recommended. When your peptide is fully solubilized, add solvent/buffer in order to reach concentration required. Peptides containing these amino acids are extremely sensitive to oxidation (risk of dimerization, cyclization) and should be solubilized with water or deoxygenated buffer (can be obtained by vacuum filtration or bubbling with helium, argon or nitrogen). Do not use basic solutions or DMSO in any case.